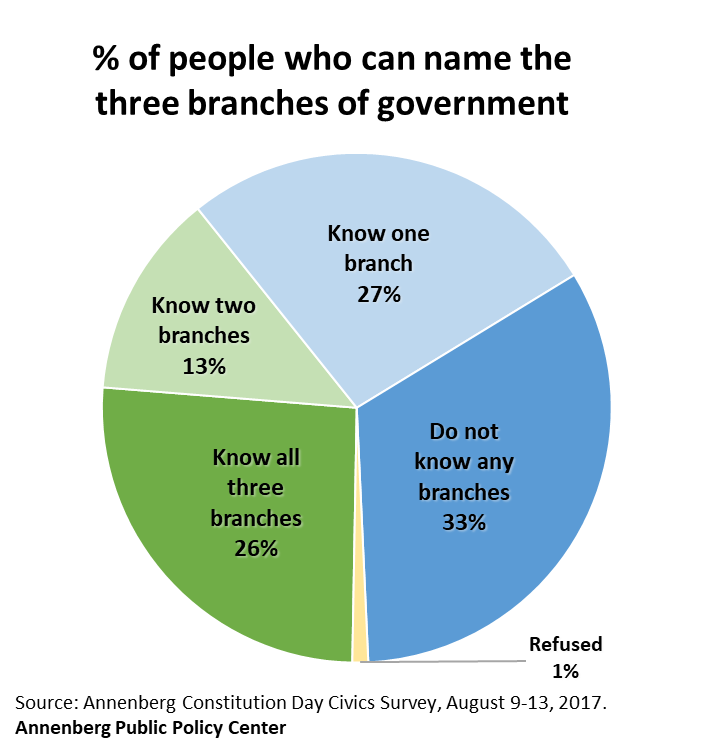 Only 26 percent of respondents can name the three branches of government (executive, judicial, and legislative), the same result as last year. In the presence of controls, people who identified themselves as conservatives were significantly more likely to name all three branches correctly than liberals and moderates. 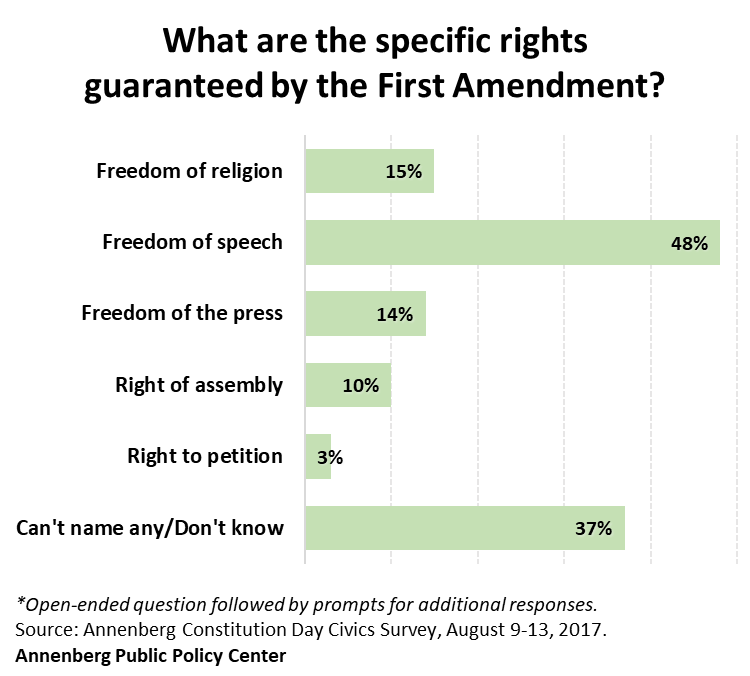 The 26 percent total was down significantly from APPC’s first survey on this question, in 2011, when 38 percent could name all three. Constitution Day (Sept. 17) will be celebrated Monday, Sept. 18. 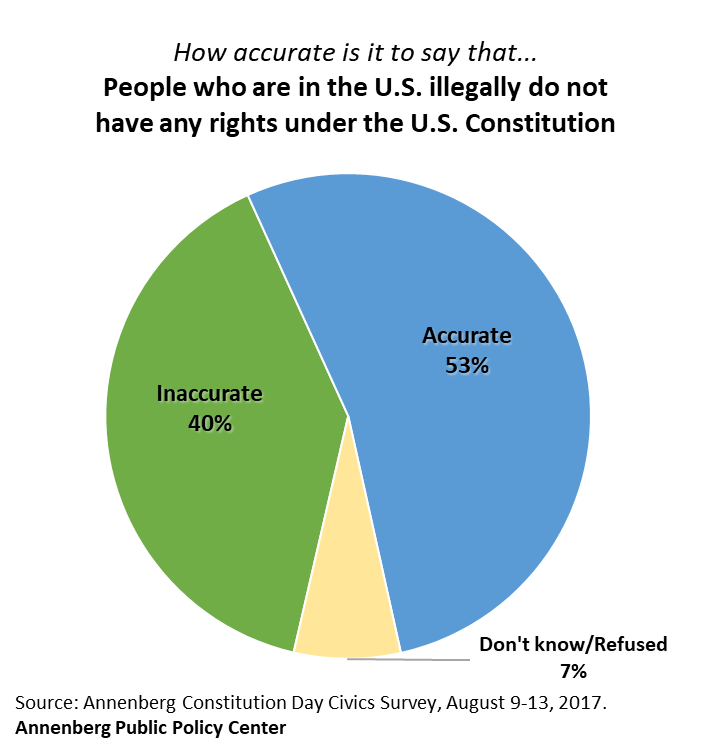 To mark it, the U.S. Courts are holding naturalization ceremonies nationwide and educators will lead students in the “Preamble Challenge,” celebrating the Preamble to the Constitution. Updated 9/15/17: An earlier version of this release incorrectly referred to the immigrant Yick Wo as undocumented.